Big in Japan: A group of foreign residents compete in the 2011 edition of Gaikokujin Star Tanjo. This year's event will feature rap, dance and classical music. They say that fortune favors the brave and this Saturday, in Fukuoka, brave non-Japanese residents will get the chance to feel like a star. Gaikokujin Star Tanjo will be held this year for its fourth time and is reportedly one of the biggest international parties in Fukuoka. The event will take place at JR Kyushu Hall in Hakata Ward. Contestants from Canada, Nepal, France and other countries are ready to deliver, through music and dance, an entertaining and cultural experience that allows the audience to gain an insight into the traditions of their home countries. The seven finalists will perform from 7 p.m. and their talents include rap, dance and classical music. The top prize is ¥100,000 in cash. 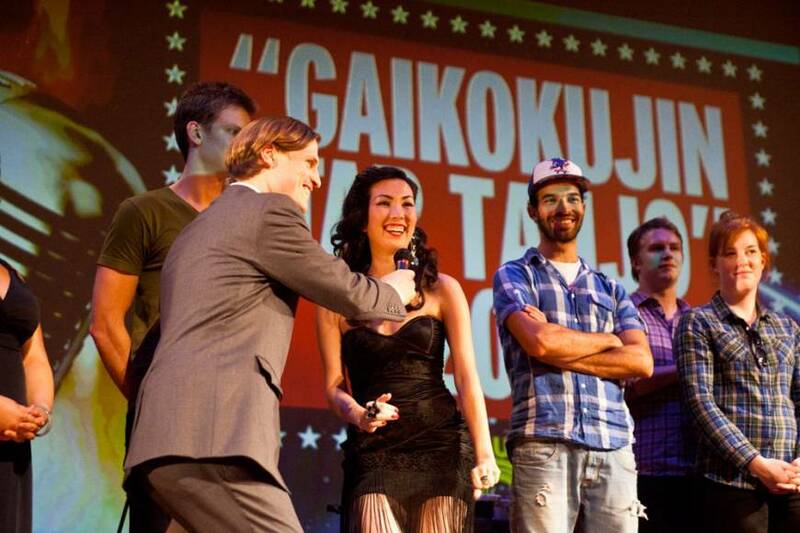 The event, inspired by the TV singing competition “American Idol,” was launched in 2010 under the name Gaijin Idol. A year later its name was changed to Gaikokujin Star Tanjo. It is co-organized by Fukuoka Now, a local bilingual monthly magazine run by Fukuoka Now Ltd., and JR Hakata City, the owner of a commercial complex in the Hakata Station building. The event will be hosted by Sebastien, the single-monikered personality behind “C’est ça la France” and “Afternoon Delight” on Fukuoka’s Love FM. Gaikokujin Star Tanjo will take place Oct. 5 from 7 p.m. till 11 p.m. at JR Kyushu Hall on the ninth floor of Hakata City, a multifunctional facility complex at JR Hakata Station. Tickets cost ¥1,500. For more information, visit www.fukuoka-now.com/gaikokujin-star-tanjo.